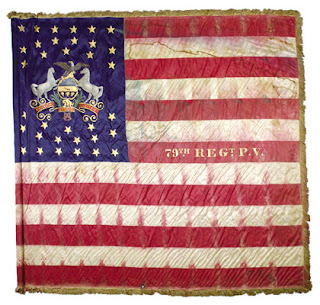 Due to a regimental numbering controversy, it is unclear specifically when this flag was used. In a few hours (not a few days) you leave your native State of Pennsylvania and go--not to Western Virginia, for the orders have been changed--but to Kentucky; for while at Washington hordes of rebels, led on by men steeped in treasonable purposes, menace the capital--in Kentucky they are invading a State loyal to the Union and devastating the homes of her faithful people. 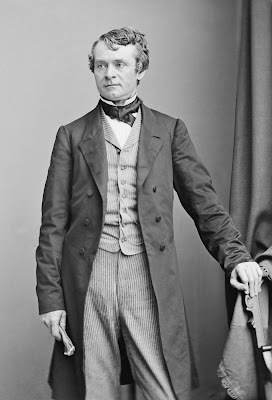 But Pennsylvania, true to her original compact, goes to defend Kentucky, and I now stand in the presence of men who go to defend the friends of liberty there.